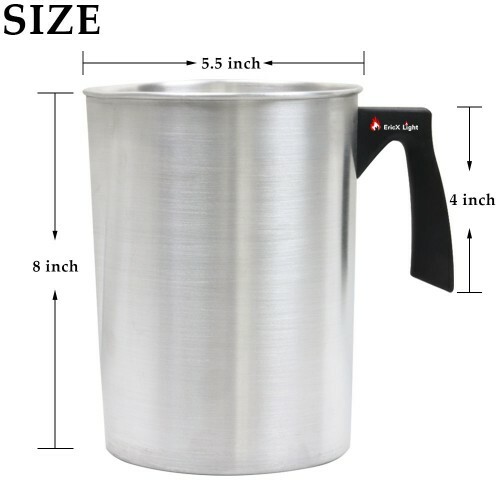 【Ideal Capacity】Holds up to 4 pounds of melted wax. 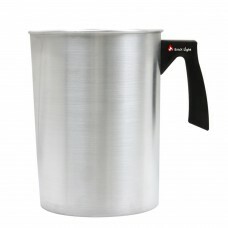 8-inch-tall by 5.5 inch in diameter. 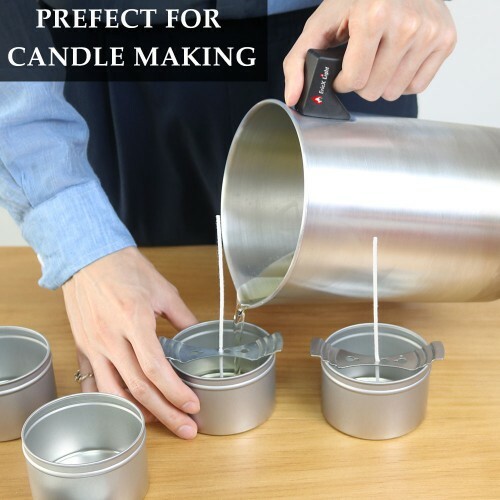 Perfect item for DIY candle making. 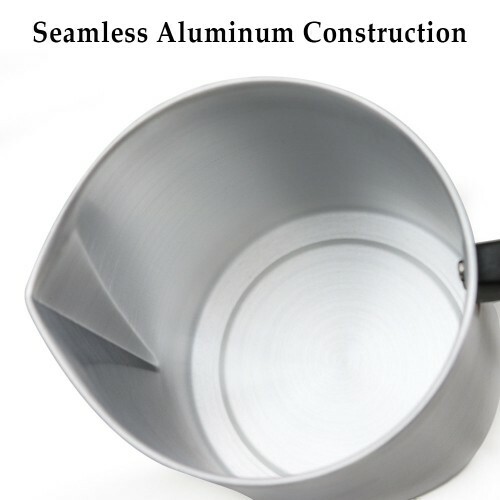 【Seamless Aluminum Construction】Excellent heat conductivity helps the wax to cool down real quickly. Nonstick and easy to wash with soap and water. 【Heat-Resistant Handle Design】Our special-plastic-designed handle features 4 times stronger heat-resistant ability making it cool and safe to touch all the way during heating. 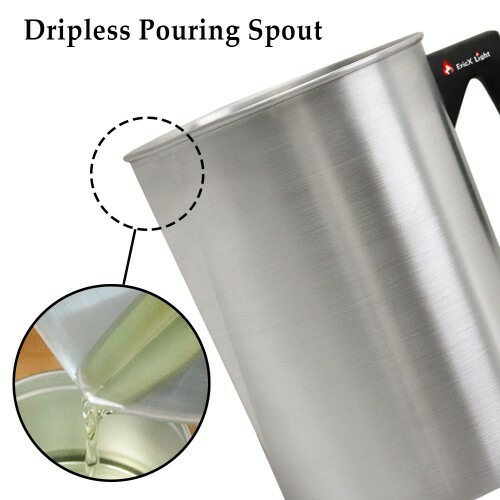 【Dripless pouring spout】It comes with a dripless spout of great control which is super easy for you to pour a constant stream of wax without spilling. 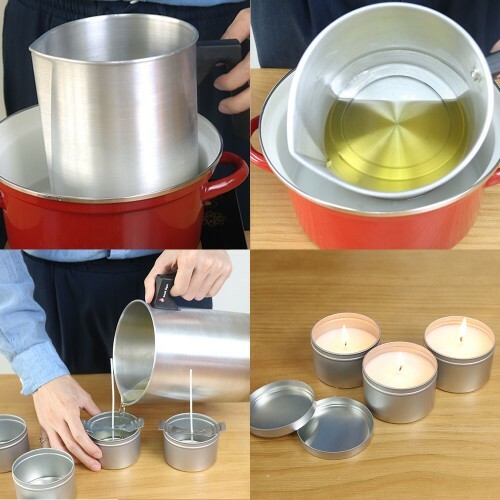 【A MUST HAVE for DIY】Prefect for candle making , saving you all the melting troubles.